Thank you for your enquiry, Shimano recommend that you should use nothing lower that a 30 tooth inner chainring on a chainset when using this derailleur. Are all three clamp sizes with the front mech? Are spacers included to reduce etc? There is no apparent option to choose clamp size when ordering. There will be reducer shims in the packaging. Can I use this with Shimano 2300 (2303?) triple road shifters? Yes but it would not be optimal. Is this compatible with flat bar/MTB shifters? I'm considering converting a road bike to flat bars for commuting. 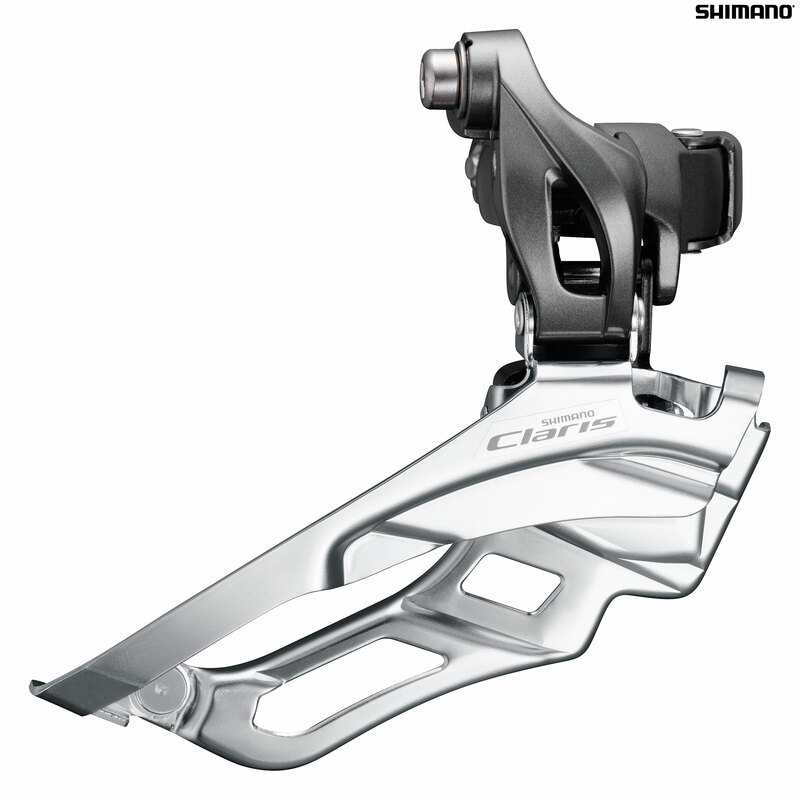 Would this front derailleur work with mountain bike shifters such as Shimano Deore M510? Unfortunately this will not work as the shifter will pull a different amount of cable. Can I use this with a deore XT triple chainset ? Just a bit of background I am adding a pair of road bars to my old trek 8000 the shimano claris sti works with the existing rear mech but the front lever doesnt pull enough cable . Presumably this would fix that ? Whether this will work depends on a few things including the chain line and set up, whether the derailleur limit will match where the chain ring sits. If the mech will not go far enough then it will not shift.It may be easier to visit your local bike shop as with queries like this it is much easier to see the bicycle in person.